You can add a flat rate for the shipping by going to payment wizard. 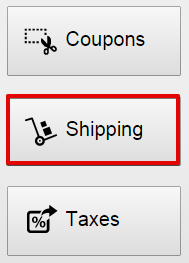 If you click next after the products, you will see an option about shipping. If you click that, "Shipping Cost" options will pops out.